Sepele field with custom-cut inlaid "ribbon" (wenge, movingui and Brazilian rosewood). The ribbon winds out of the foyer and down the hall through the center of the home. 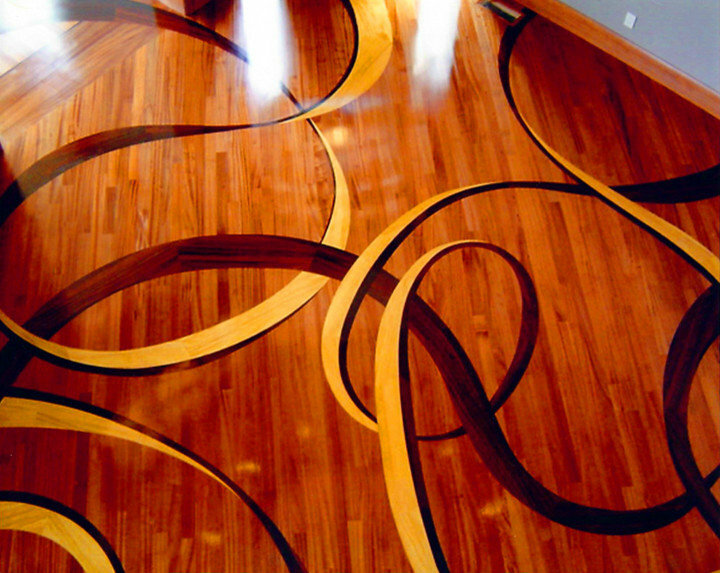 This floor was recognized as Wood Floor of the Year by the National Wood Flooring Association.